For a long time I have wanted to get back to some paintings of Winter landscapes. With a pressing article for 'The Artist' magazine now is my chance to combine these Winter landscape paintings showing the structure, form and linear forms in the landscape from sketchbook and memory for exhibition and article. Mixed media black and white on Arches 140lb (300gsm) 'Not' watercolour paper. Drawing is the all important spring board to my work and without exception is the place I start from first. What we see here is the initial thought process - sketched from the car on the way up Kirkstone Pass in Cumbria one bleak Winter on our way to Ulswater on the other side of the pass (for a brief winter walk and more car sketching with the heater on!). 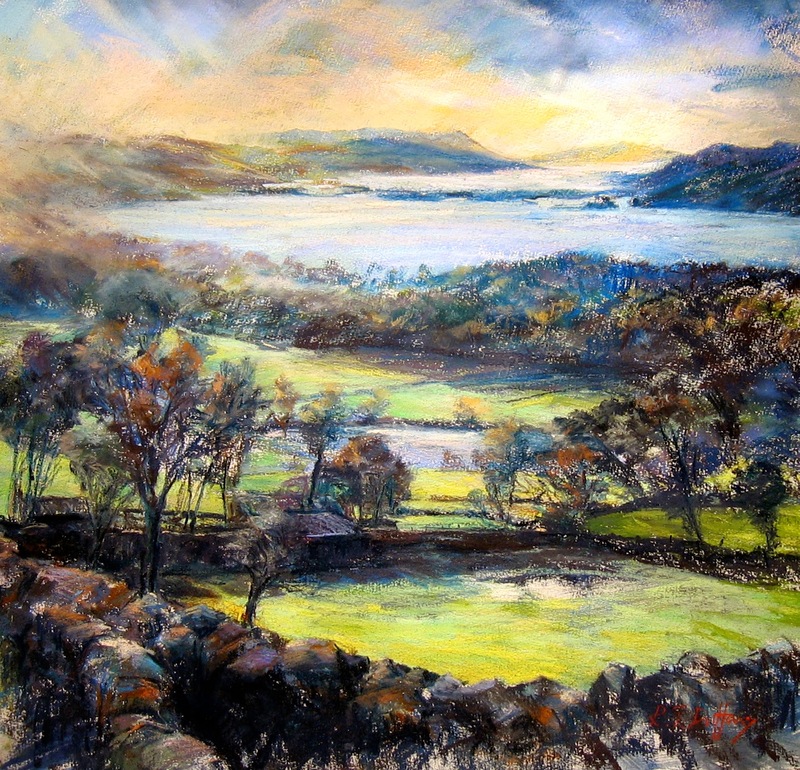 This was a painting done in the same season on our Winter break in the Lakes many moons ago. It was featured in 'The Artist' magazine a couple of years ago and just flew out the door as the first to sell in a mixed Christmas exhibition in one of my local Yorkshire galleries soon after it was created. Descending towards Ulswater I later created this (from the car sketches mentioned above). I held it back for a couple of seasons to let it sweat' before completing. It's now on show at Maiden bridge near Lancaster. I've several the paintings in this show as well. If you want to see them all, give them a call! The weather that winter in the Lake District was bitterly cold! I was all kitted out with my Mountain Equipment gear on and still only could last about 10 minutes outside to take photos before dashing back to the car! Mad weather and mad artists eh! 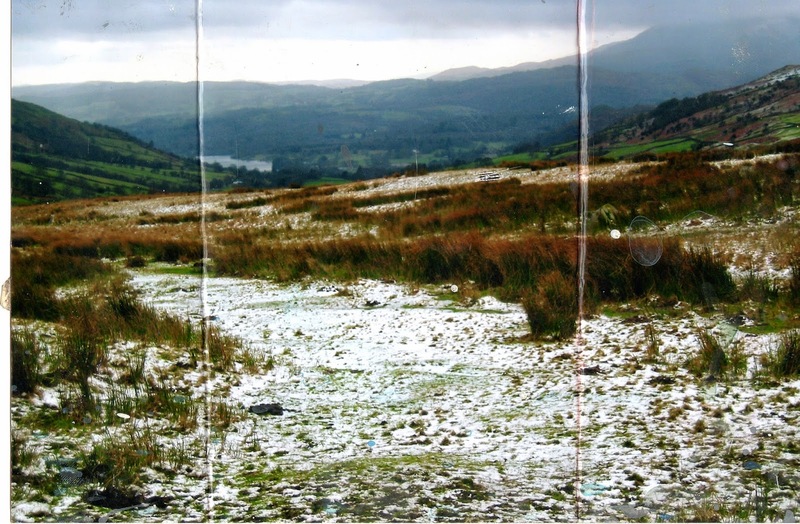 This is a scanned copy of a film print taken with a point and press roll film Canon camera. A bit creased, battered and scratched buy hey...that's life for many of us these days! Glad I have it and the sketch I created at the same time. Great starting points together for a thoroughly decent expressive mixed media painting on the go...right now!